Blizzard Warnings In Upper Midwest; Possible Tornado In Alabama : The Two-Way Heavy snow and strong winds are making travel tough from Iowa into Minnesota and Wisconsin. As the storm moves east, it's expected to bring rain and lake-effect snow to parts of the East. A snow plow made its way down a county road in Waupun, Wis., earlier today. A winter storm that has brought blizzard conditions to parts of the Upper Midwest from Iowa into Minnesota and Wisconsin has authorities urging folks to stay off the roads and airlines warning of flight delays at Chicago's O'Hare and other airports in the region. The Weather Channel, which has named the storm Draco, says heavy snow and strong winds will continue in the area through Thursday night. And after it finishes with the Upper Midwest, "Draco will sweep through the East Coast with rain and wind while turning on the lake-effect snow machine in the Great Lakes," the channel says. The Des Moines Register reports today that crews are working to clear roads in the city, "but driving conditions remain difficult, officials said. Various measurements around the Des Moines area show between nine and 13 inches of snow accumulation and high winds are making it difficult to clear, officials said." Wisconsin Public Radio says "heavy snowfall is expected in much of the state" and that Gov. Scott Walker (R) has declared a state of emergency. 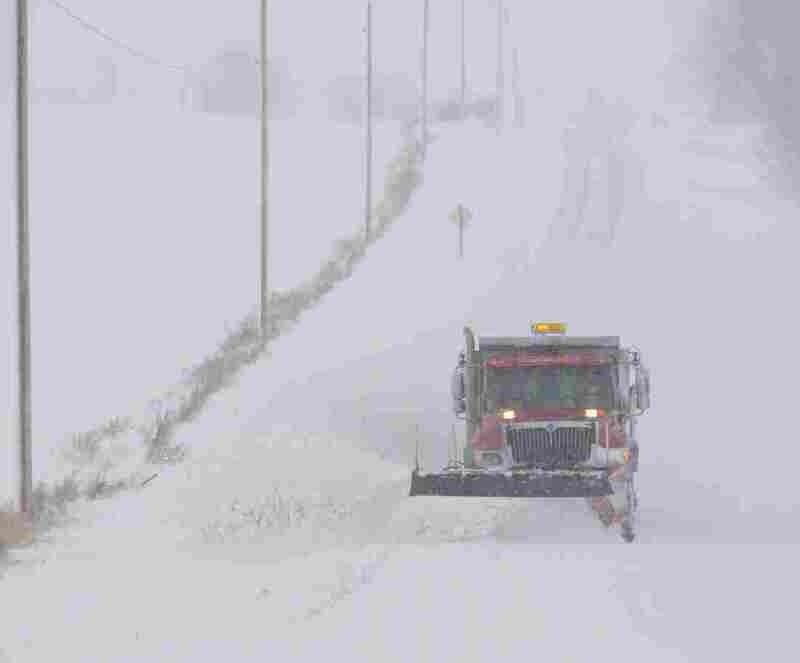 It adds that "Todd Pritchard, a spokesman with Wisconsin Emergency Management, says the storm may make travel virtually impossible in much of southern Wisconsin." As Korva wrote Wednesday, this is the first major winter storm of the season for much of the nation. Far to the south, around Mobile, Ala., a "line of severe storms has moved through the region, bringing high winds, rain, tornado watches and warnings," AL.com reports. It's bad out there in many parts of the Midwest and East.